I was born in 1978, and depending on the source referenced, I am either at the tail end of generation X, the first of the millennial generation, or somewhere in the undefinable. Regardless of how you label it, I was among the first generation of students to receive elementary level instruction in personal computers. The first to play Oregon Trail on the latest PC as part of the curriculum. The deployment of personal computing during my generation has been a phenomenon unrivaled in history. My generation watched Moore's Law tangibly unfold before our eyes. We failed to realize the prescience of science fiction novels referencing instantaneous access to knowledge via a centralized platform, but then watched as Netscape facilitated that very reality by bringing the internet to our screens. We were the first generation raised drinking from the cup of personal computing, and we gorged ourselves on its binary code, inventing new ways to make the cup bigger, stronger, and easier to share; we were the first personal computing generation. Many of the world's greatest technological advancements happened on our watch, but so did the advancement of the world's greatest evil: Human Trafficking. 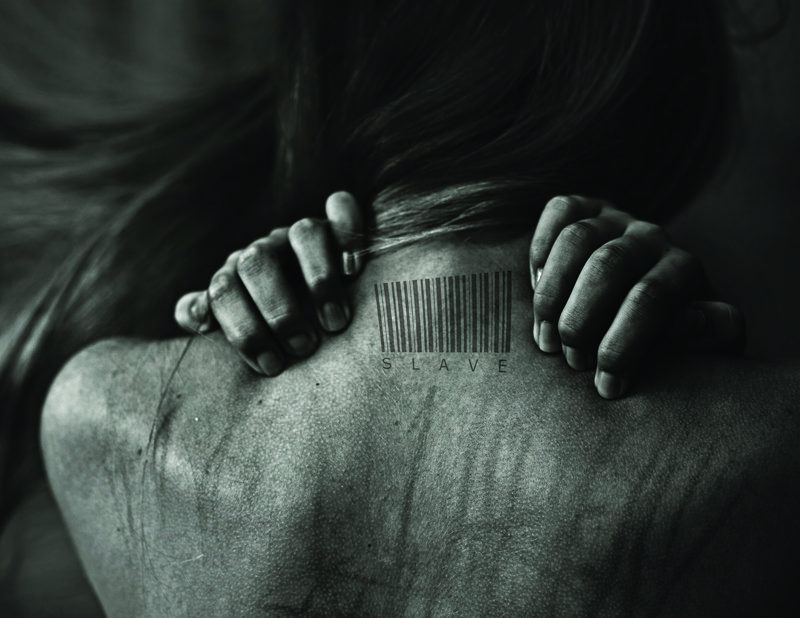 Human Trafficking is a soft term that keeps us from confronting the reality that slavery is as robust an industry now as it ever was, and it was our computing generation that built the technological infrastructure that facilitates its growth. Our generation became so enraptured in the gratification of world-changing technology that we forgot to look behind us to see who else was building on our work. While we were looking to the future, the modern slave traders quietly built a nearly undetectable empire bringing in $32 billion annually. The second order effect of the technology platform our computing generation built has been an unprecedented explosion in the world's slave population, and the subsequent elimination of the inalienable rights of the people caught up in the modern slave trade. Our generation is not solely to blame for the explosion of modern slavery, but we are uniquely qualified and resourced to fight the problem and ultimately to render it to history. Our generation is the first to leverage internet technology as a scalable solution to social injustice, our technology has allowed us to build more value and subsequent wealth than all the previous generations combined, and we understand the technology being used to exploit these slaves, therefore our generation is uniquely positioned to end this scourge. There comes a time in every person's life when they are forced with a decision: pursue a path strewn with seemingly insurmountable obstacles that changes the world or pursue relative safety and comfort. God presents each of us with this choice and promises to resource and provide for our journey regardless of which path we choose. He encourages us, however, to choose the hard, brave thing and in doing such, rewards us intangibly. Perhaps William Wilberforce, arguing against slavery before the British House of Commons in 1791, said it best: "You may choose to look the other way, but you can never say again that you did not know." This is why, together with several of my former colleagues from the CIA and Special Operations Forces, we collectively formed DeliverFund, a private, non-profit intelligence organization that disrupts global human trafficking markets. We do this by combing uniquely qualified personnel with the best technologies, and then--by leveraging them in new ways--we reach and rescue victims of human trafficking. During my time at the CIA I saw slavery first hand; coupling that experience with the skill sets to effect change and the understanding of my generation's culpability, I realized my responsibility to act... our responsibility to act. Research conducted by Professor S. Kara of Harvard University shows the best way to tackle modern slavery is to introduce market risk by holding the traffickers accountable for their crimes, and that rescuing girls--without also holding the slave trader accountable--is the equivalent of trying to shoplift Walmart out of business. As private citizens we obviously cannot restrict the liberty of another person for holding slaves, but we can help the few law enforcement officers who do this work collect the intelligence they need to be effective. At DeliverFund, we support Law Enforcement in their fight against human traffickers by exploiting the very technologies our generation created, and combining them with human intelligence collection into a tool for justice. As the computing generation, we did not anticipate the illicit uses of the technologies we created, but our lack of attention is a reason, not an excuse. Slavery proliferated on our watch. We created the tools used to build the modern slave markets, and we passively allowed their growth, so it's time we start actively tearing them down by supporting the NGO's doing scalable work against them. This is our moment, let's not be found wanting.